Either you are riding on a busy trail or running through a city or on a roadway, the ability to hear the world around you could save you from a serious accident. What set the Zulu Alpha Series Speakers apart is its ability to let you hear your surroundings. Along with the magnetic clip-on design for comfort, the speakers could be an ideal choice for the weekend warriors. However, unless you enjoy the angry stares from people we don’t recommend you to use them in the subway or your office. People sitting next to you for sure will hear them. 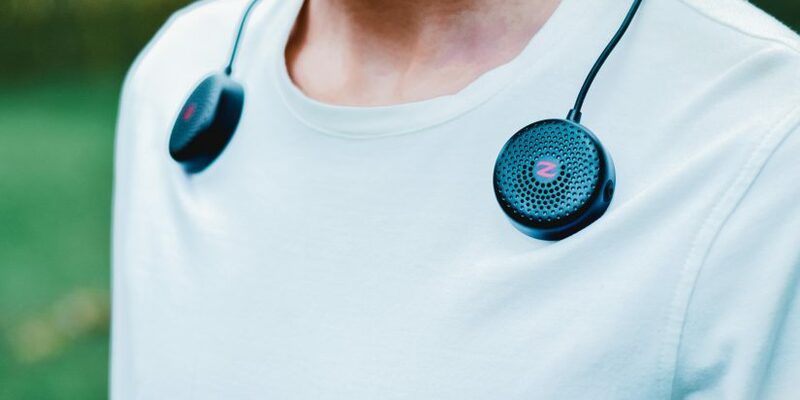 The Zulu Audio Alpha Series Speakers are designed to be clipped magnetically onto the user’s shirt. 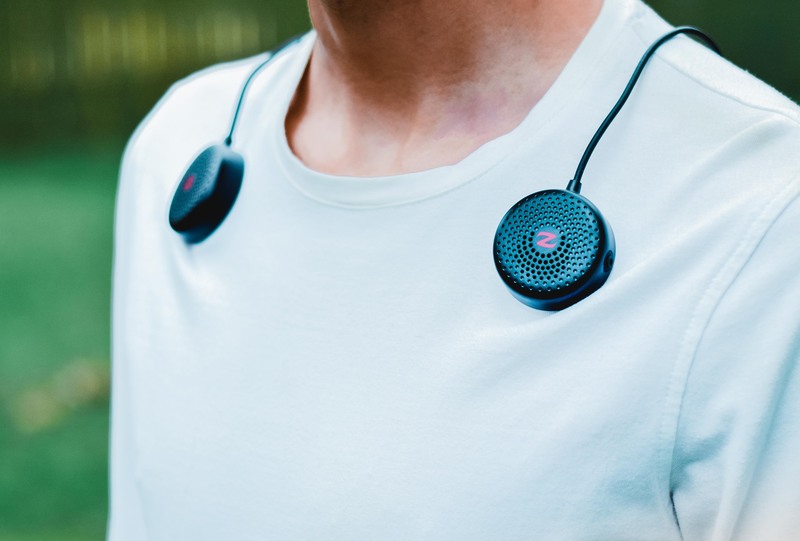 This allows the user to hear the outside world and they can provide the comfort that doesn’t often come along with earbuds or on/over the ear headphones. The speakers are light. I did not feel any pull on my shirt or irritation from the magnets. The magnets are surprisingly secure, and the speakers did not shift out of place during use. In addition, the speakers are very compact, so they do not get in the way whatsoever. For cycling, the design is perfect. You don’t have to worry about pushing them under your helmet. I was pleasantly surprised at the volume and clarity of sound. It adjusted well in different noise level environment. As for the frequency range, I feel that the speakers lack bass response and sound a bit treble-y. That being said, it is important to note that these are intended for comfort and safe listening and not serious, high fidelity music listening. The overall quality of sound also depends on the positioning of the speakers. The speakers have an onboard microphone and work well for taking calls. The microphone picks up sound well and the audio sounds crisp and clear on the other end. To answer/end an incoming call, hit the MFB button once. After the call is disconnected, the audio will automatically resume playing. Pressing the MFB for about two seconds will reject the incoming call. The audio can be controlled by three buttons on the speaker: the volume up button, the volume down button, and the MFB (Multifunction Button). In addition to the volume up/down features, you can play or pause music with the MFB. Battery life is usually the elephant in the room for wireless headphones/speakers. The Zulu speakers were fully charged in about an hour and Zulu states that the batteries last up to four hours. Numerous factors play into their battery life. In my experience, the batteries have lasted beyond this 4 hours duration. The Zulu Audio Alpha Series speakers are great if you don’t like in-ear headphones while enjoying some alone time or trying to be safe on the road with music. The magnet design is smart and functions well. The price is attractive, and the sound quality is decent. It doesn’t matter if you have a big speaker system or just the Google home pod. We tend to enjoy the sound and tolerate the look of our speakers. Cotodama’s second-generation lyric speaker, the Canvas is something that worth all the rev the brand received. It is a unique speaker that not only sound great but also looks good.